Eeva Ahdekivi’s DBA dissertation demonstrates that non-profits serve as a stabilizing investor type on the capital market. She felt her study leave was "a wonderful time”. Managing Director Eeva Ahdekivi is sitting in the top floor of her workplace Hartwall Capital along Pohjoisesplanadi in the center of Helsinki, with her newly completed doctoral dissertation lying next to her on the couch. "Writing my dissertation was a truly wonderful time. Especially while I was on study leave", Ahdekivi explains. Full-time studies mean being charge of your own schedule." Ahdekivi is managing director at Hartwall Capital, her previous roles including investment director at state-owned investment company Solidium, and chief senior specialist at the Ownership Steering Department of the Prime Minister’s Office. She talks about her work with great passion, explaining how she has had the opportunity to be involved in a number of historical turns of events; the boom in stock listings at the end of the 80s, privatization of state-owned companies in the 1990s at the same time as ownership of Finnish share was opened to foreigners. “World politics have always played a role in my work. Shares have been the common thread during my career." The idea to take some study leave arose at the beginning of 2013. 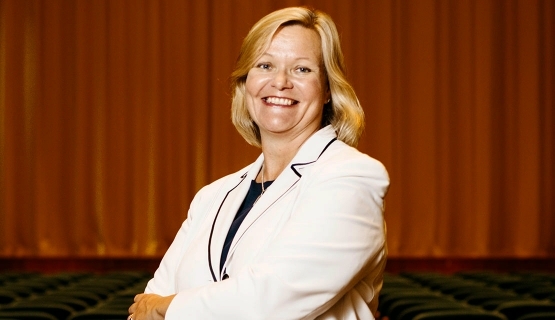 At the time, Ahdekivi was a candidate for minister Heidi Hautala for the position of director general of the Government Ownership Steering Department, but after a lengthy process, the appointment went to someone else. Ahdekivi’s study is divided into two sections: the first part explores the connections between a non-profit’s financing and its chosen form of governance, using material from 890 non-profits, while the second part utilizes anonymous equity portfolio data provided by 530 non-profit organizations, covering the years 2001-2013. The dissertation serves as the world’s first empirical documentation of the behavior of non-profit investors. The study has two main observations. Firstly, a connection exists between the governance and financing of non-profit organizations, showing that non-profits reliant on external financing (e.g. non-profits funded through donations, business, or public funds) concentrate less decision-making authority with their boards compared to foundations endowed with substantial wealth. Another important finding shows that non-profit investors can operate with a long-term focus on the capital market, and carry relatively large risk positions in their equity portfolios. They can operate independently on the stock market, and balance occasional abnormal market movements. “As the third sector becomes more important, non-profits are becoming increasingly interesting financial players”, says Ahdekivi. For Eeva Ahdekivi, returning to the scientific world was like a homecoming. “The Department of Accounting at Aalto University – a wonderful, atmospheric place that became a second home”, she says. She describes how the fall light lands softly through the windows in the Chydenia building, and you bump into fellow academics along the hushed corridors. If work gets stuck, someone puts the coffee on. Then you talk about the daily news and research dilemmas over a cup of coffee. Even over lunch at the restaurant, you don’t just get company, but help for instance in mathematical methods. Aalto Executive DBA is a structured doctoral level program for individuals with considerable managerial experience who wish to make a significant contribution to the enhancement of professional practice. Read more about the program.